The Police Command in Abia has arrested one Amarachi Chinedu, over her alleged involvement in the sale of a one-day-old baby boy in Aba. 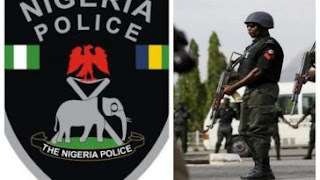 The Commissioner of Police, Mr Anthony Ogbizi, said in Umuahia on Thursday that the woman was arrested with two others for their alleged involvement in the deal. The suspect, who claimed to be a prophetess, was arrested with the 17-year-old mother of the baby, Chinanu Monday, and the man who allegedly impregnated her, Promise Lazarus. She said that she was not involved in the deal as she was not given any money and did not know the buyer and whereabouts of her baby. “When I was pregnant, Lazarus took me to the woman and she took delivery of the baby in her home. “After the baby was delivered, they took him away and sold him,” she said. She said that she took in for Lazarus in December when they both met. Lazarus and the prophetess, however, denied the allegation and described the girl’s story as baseless. Lazarus said that he met the girl in March, contrary to her claim that they met in December. “She told me in April that she was pregnant and I told her that I would come to her parents for introduction with drinks and kola nuts. “Surprisingly, while I was making plans to visit her parents, policemen came to my house and arrested me, accusing me of child trafficking,” Lazarus said. The prophetess described the allegation as unfounded, saying that the girl was never pregnant and could not have given birth to a baby. “I want the girl to be examined by a medical doctor to ascertain if she gave birth to a baby,” she said. Also in police net are 19-year-old Mary Friday and 20-year-old Chinyere Achonna, who were arrested at an alleged baby factory at Umunkpei in Isialangwa North Local Government Area of the state. The girls said that they were impregnated by their boyfriends and introduced to the baby factory, where they would be taken care of before their possible dates of delivery. Mr Paragon Kelechi, 52, who was arrested ,along with the two expectant mothers, said he took them to Umuahia to be scanned when they were arrested. Kelechi said that he was asked to assist to take the girls to Umuahia by the owner of the baby factory, popularly known as Mma. The police also arrested and detained one Mrs Ogechi Sunday, a civil servant, for allegedly using a hot knife to burn the buttocks of her maid. Sunday told newsmen that she took the measure to tame the 14-year-old, Mary Sunday (not her relation). “The girl was fond of eloping each time I sent her on errands, so on this last occasion I decided to take a drastic action to force her to disclose why she usually returned late from errands. “So I put the kitchen knife on a lighted stove and when she eventually returned, I spanked her on the buttocks with the hot knife,” she said. She however expressed regrets for her action, saying that she was moved by anger. Also, the command paraded six gay suspects, arrested at a hotel in Aba, following a tip-off from the hotel manager, Mr Peter Okeke. Okeke told newsmen that two of the suspects checked into the hotel on Sunday and paid for one room.